Condominium smoking restrictions and prohibitions are becoming more and more common in local law and in condo CC&Rs (“Declaration of Conditions, Covenants and Restrictions”), bylaws and rules. The increase in smoking bans reflects the growing recognition that secondhand smoke is more than just an annoyance and a discomfort; it exposes non-smokers, especially children and the elderly, to serious health hazards. This article answers the most commonly asked questions about smoking restrictions in condominiums. Is second-hand smoke a serious health hazard? Second-hand smoke is one of the leading causes of preventable death. Secondhand smoke contains hundreds of chemicals known to be toxic or carcinogenic, including formaldehyde, benzene, vinyl chloride, arsenic, ammonia, and hydrogen cyanide. Secondhand smoke causes lung cancer in those who have not previously smoked and increases the risk for heart disease, stroke and chronic lung problems. Children, pregnant women, the elderly and those with chronic illnesses are especially vulnerable to the harmful effects of secondhand smoke. Children exposed to secondhand smoke are at an increased risk for sudden infant death syndrome (SIDS), acute respiratory infections, ear problems, and more severe asthma. Secondhand smoke exposure can cause asthma in children who have previously not had any symptoms. Similar findings have been made in numerous federal, state and private studies. According to the Surgeon General of California, there is no safe level of exposure to second-hand smoke. What laws restrict smoking in condominium buildings? Governments initially responded to this growing body of evidence by enacting laws restricting smoking in public places, including office buildings and restaurants. More recently, governments have begun enacting restrictions on smoking in apartment buildings and condominiums. 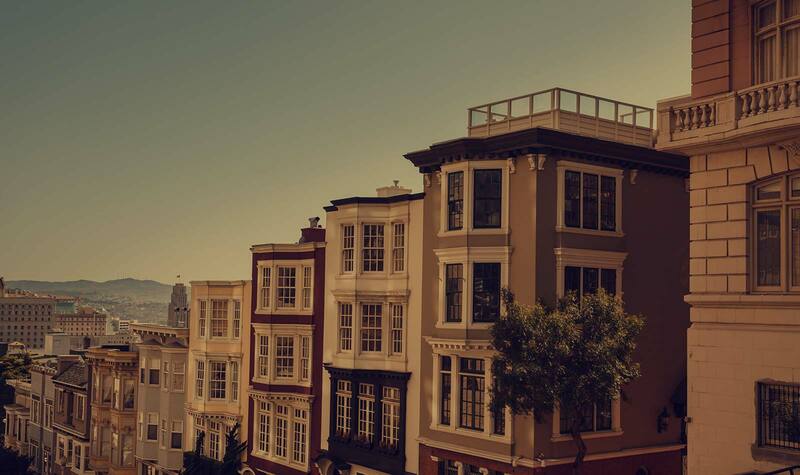 For example, the city of San Francisco prohibits smoking in enclosed common areas of buildings containing two or more residences, e.g., but permits smoking inside a unit, (with some restrictions on open doors and windows). The City of Compton goes further and bans smoking inside the units (effective in 2013). The City of Belmont goes still further and prohibits smoking anywhere within the city boundaries. To learn whether your city or town has a prohibition on smoking in condominium buildings, check the city or town’s website or call the local planning or health department. Can condominium associations create their own smoking restrictions? Condominium homeowners associations can create smoking rules that are more restrictive than those imposed by law. Condo HOAs can write their own smoking rules in CC&Rs, Bylaws or rules either by amending existing documents or by creating new ones. A majority vote of the owners is usually sufficient to adopt a smoking restriction, but some condominium agreements require a higher percentage of votes. To have a vote, the owners must the notice, agenda and meeting formalities required by applicable law and their own condo documents. You can find more information about the requirements for creating HOA smoking restrictions in California’s Davis-Stirling Law. Are condominium smoking restrictions a good idea? Some owners are hesitant to restrict smoking in their building in the belief that this will limit the pool of buyers for their condo. But most Realtors say that more buyers are looking for non-smoking buildings than for buildings that permit smoking and that, as the dangers of second-hand smoke become more widely known and understood, this trend will continue. Other owners worry that smoking bans will interfere with their ability to host guests or family members who smoke. Although this is a legitimate concern, it needs to be weighed against the risks associated with exposure to second-hand smoke. In most cases, visits by smokers are relatively infrequent, while the exposure of non-smoking residents to the second-hand smoke of smoking residents is constant. What kind of smoking prohibition should a condominium homeowners association adopt? Some HOAs ban smoking in interior common areas such as lobbies, common hallways, and garages, but permit smoking in the units and in exterior areas. Some HOAs ban smoking in all interior and exterior common areas, in which case smoking would only be permitted in a unit. Still another approach is to allow smoking outdoors but not indoors, or to allow outdoor smoking only if it is not close to a building. If smoking is permitted only outside, non-smokers will be exposed to second-hand smoke when they pass through or near the areas where smoking is allowed. In addition, depending on the patterns of wind and building ventilation, the amount of second-hand smoke that reaches the unit interiors of non-smokers can be surprisingly high. These problems can be minimized by restricting smoking to a specific area that is relatively far from the building, but the resulting rule is generally no more burdensome on smokers than forcing them to leave the Property to smoke. Moreover, when smoking is permitted only in a specific outdoor area, owners often find that the smoking area turns into a significant eyesore or maintenance burden. For these reasons, HOAs are increasingly choosing to make the entire property smoke-free. This means that no one can smoke in a unit, on a deck or patio, in the garden, on the roof, on the front steps, or anywhere else. This ensures that non-smoking residents, and their guests, are not exposed to second-hand smoke while on the property. This policy can also generate a discount on insurance premiums. The health hazards of exposure to second-hand smoke, particularly in the home, are too serious to ignore. When the amount of time sleeping is factored in, most people spend more time at home than anywhere else. Children and the elderly, who are most vulnerable to the dangers of second-hand smoke, tend to spend even more time at home than working adults. In recognition of the level of potential exposure, and the resulting danger of disease and premature death, governments at all levels are restricting smoking in multi-unit buildings, including condominiums. But governments tend to move slowly, and the negative effects of exposure are cumulative. Condominium homeowners associations have the ability to enact their own smoking restrictions, and should consider taking the initiative to protect their residents and guests.